Deep frying your turkey is one of the most flavorful ways to prepare your Thanksgiving meal, but this can also present hidden dangers. Each and every year, many family’s holiday plans go up in flames when attempting to deep-fry their bird. With over 1,000 fryer fires each year and over $15 million in property damage, safety should be on the top of your list this Thanksgiving. *Tips and video put together by the guys at Tech Insider. 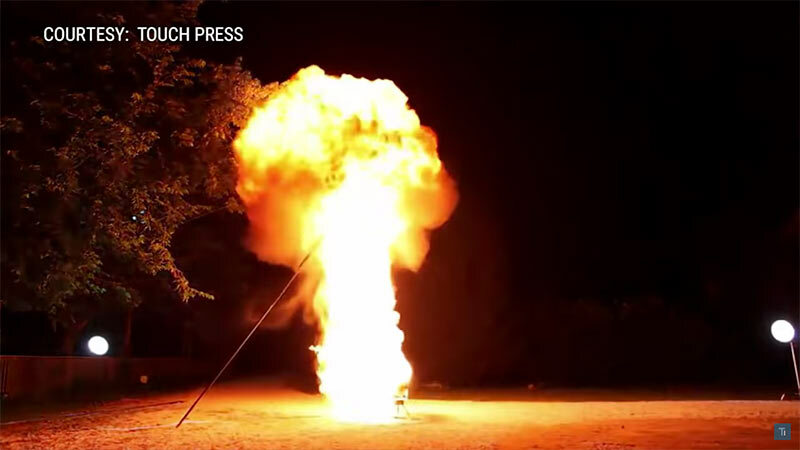 Always use your turkey fryer away from your home and any other structures. Don’t overfill your turkey fryer with oil. Fill the pot with water until the water is at least two inches below the top. Remove the turkey and mark the water level on the fryer so you know how much oil to add. When finished, be sure to empty and dry the pot completely before adding the oil. Keep your oil temperature under 350 degrees. Never deep fry a frozen turkey. The Ice turns into steam and can rapidly expand creating an overflow of hot combustible oil. Keep a grease-fire approved fire extinguisher nearby. If a fire does start while deep frying your turkey, stay calm and put it out by pointing your fire extinguisher at the base of the fire. Please remember to NEVER throw water on a grease fire. From our families to yours, we wish you a very safe and happy Thanksgiving.